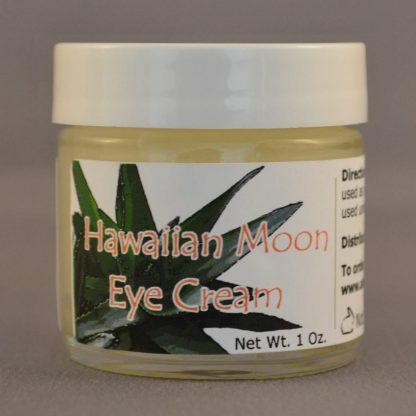 Hawaiian Moon Eye Cream - Say bye-bye to Dark Circles and Fine Lines! The skin around the eyes is more delicate, more prone to dryness, and quicker to show fatigue and age. Squinting and constant movement of the eyes also accelerate the fine lines and wrinkles, and fluids collect under the eyes which cause puffiness and dark circles. Enter our Hawaiian Moon Eye Cream. Our eye cream is equipped with up to eight-fold antioxidant protection, ninety-six percent reduction of sunburn cells, and prevention of the formation of free radicals in sun exposed skin. 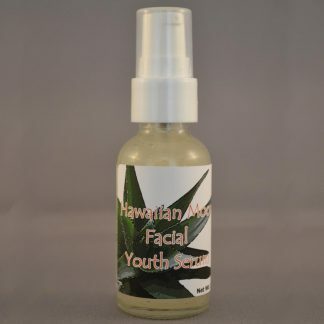 Our customers have seen the fading of sun spots and discoloration, a refined skin texture and a reduction of wrinkle formation as well as minimizing existing wrinkles. Our eye cream is a gentle and effective treatment for the delicate eye area to revitalize and turn back the clock. This eye treatment is a concentrated delivery system for the highest form of active, bio-available Vitamin C (Vitamin C aids in collagen production and skin elasticity) for radiant eyes, and Vitamin E (Vitamin E soothes and protects). This is a 1oz jar of Hawaiian Moon Eye Cream. 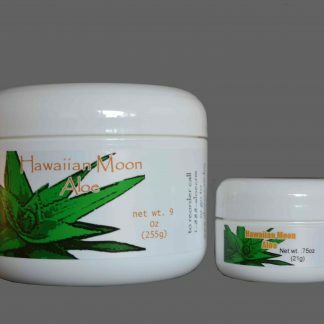 Our Hawaiian Moon Eye Cream has an almost gel-like consistency – it’s not runny. Simply dip the tip of your finger to get a small, almost pea-sized amount on your fingertip. Then start right under your eye, closest to your nose, and spread from inside out. Spread gently moving from nearest your nose to your cheek and slightly up to the “crows feet” area. Apply it daily in the morning or at night, or both. If applied in this fashion, this 1 oz jar can last 2 to 4 months. 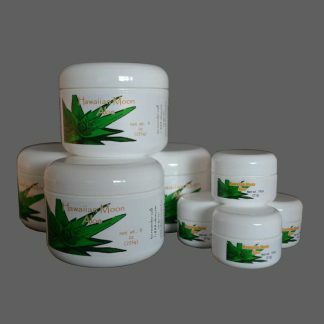 Non-comedogenic, penetrates deeply, and activates collagen production for a fresher, younger, firmer, brighter complexion.